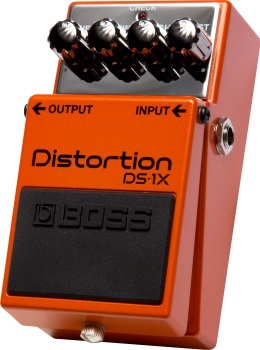 The DS-1X launches the famous BOSS distortion into a modern era of expression, delivering an unmatched level of performance for guitarists with an ear for tone. This next-generation stomp combines over 35 years of innovation in pedal design with the most advanced technologies, bringing you a completely new tonal experience that’s only possible with the legendary expertise of BOSS. Prepare to be amazed--the inspiring and ultra-responsive DS-1X will change your thinking about distortion pedals forever.